A business email address list of 1.4 million email addresses and true decision making contacts along with their phone number and mailing address. 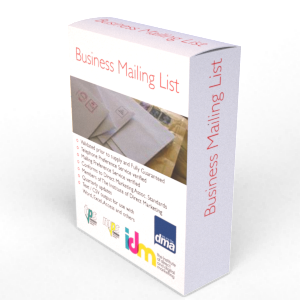 The 1.4 million business email address list spans over 2,700 business activities, so you can select the business types you need to target very easily. The Business Email Addresses are opt in, in that they have consented to have their details released so that you can market to them. Strict Direct Marketing Association best practice guidelines are followed which although not a legal obligation (at the time of writing this) are a best practice industry standard. What's the point of emailing someone if they have stated that they do not want email communication? All of the Business Email Address records will have been telephone verified to confirm the details before release to you, this ensures the information is current and that the companies are trading & contacts are valid. The mailing address and record will have been verified prior to release. The address will also have been checked against the Royal Mail's very latest Postal Address File.